Ha Nam (VNA) – Director Commercial of the Parjatan Corporation of Bangladesh Nasir Uddin and 26 other Bangladeshi officials learnt about Ha Nam’s experience in socio-economic development during their working visit to the northern locality on May 10. They heard Bui Quang Cam, Deputy Chairman of the provincial People’s Committee reporting on investment attraction, poverty reduction, land management and site clearance policies. Cam said the province has pooled all possible resources for the building of technical infrastructure in industrial zones and clusters as well as issued legal regulations conducive to businesses. In agriculture, Ha Nam focuses on cattle-breeding and fisheries and switches to high-yielding and quality crops, he said, adding that it is also ramping up trade and services, posts and telecommunications, transport and tourism on the back of its synchronous and convenient transport. On land management, he said the locality has cleared hindrances in compensation for displaced residents, especially in key projects. 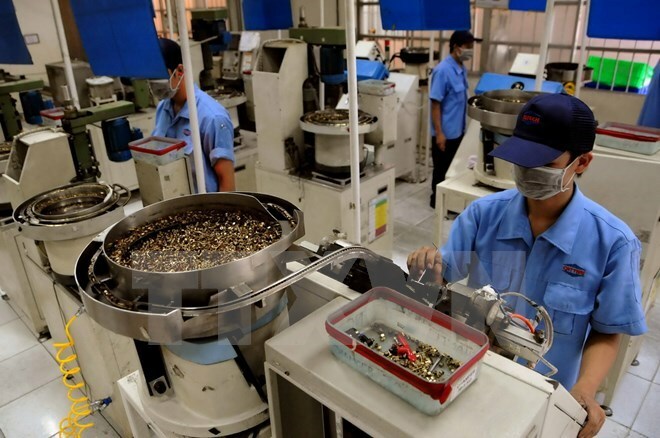 In 2011-2015, the local economy grew by over 13 percent annually, with the industrial production value reaching nearly 80 trillion VND (3.6 billion USD) and the total retail value hitting more than 54.7 trillion VND (2.48 billion USD), up 20 percent annually. Uddin said Ha Nam’s development experience will be useful for Bangladesh.